Mix up your spirit selections and take your summer soirées to an unforgettable new level this season with libations that exceed expectations. There's no need to hit the bar for a stellar craft cocktail, as killer concoctions are a snap to make at home! Just heed these cocktail trends and you too can be a home bar rock star. 1. More playfulness, less pretension. Cheeky and whimsical brands and beverages are kicking severe mixology to the curb. Preciousness and pomposity has taken a back seat--think homespun hospitality instead of haughtiness. Cocktailing is becoming simpler with a laid-back sensibility on the rise. 2. Small batch is still big. The American Distilling Institute reports the meteoric rise in craft and micro distilleries, where true ingenuity is underway--the results of which are getting to market quicker than ever. Validating the power of craft, even the industry "big boys" are getting into the small-batch business. 3. Simplicity reigns supreme. Gone are the days in which overzealous mixologists have something to prove, taking 15 minutes or more to perfect a drink. Simplified elixirs are now at the forefront, requiring fewer ingredients and steps when creating a killer craft cocktail. 4. Increasing culinary influence. Fresh fruit, roots, nut and herb-laden libations are all the rage, even taking cues from the kitchen, with imaginative culinary cocktail filled with farmed foodstuffs. Mixers with all-natural ingredients like Italian lemons, Hawaiian ginger, black walnuts and pumpkins are being utilized to craft distinctive and memorable flavors. 5. Locavore garden-to-glass libations. Local and farm fresh approaches to ingredient sourcing are taking root on cocktail menus. Garden grown is in, and preservatives, concentrates, and artificial ingredients are out. Indeed, craft cocktail distillers are turning hand-selected agricultural ingredients grown on their own or other neighboring farms into 100 percent natural artisan liquors, elevating cocktails, beers, and other beverages like coffee and tea. 6. Moonshine goes gourmet. Once just a novelty item, distillers are now getting creative by offering high-end premium spirits. 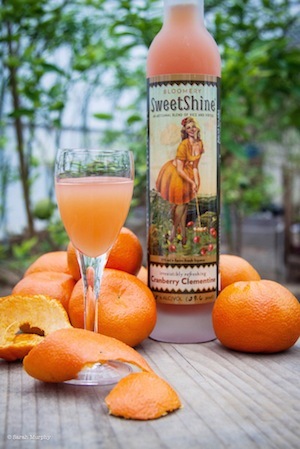 At Bloomery Plantation Distillery, our SweetShine takes crafted cocktails to a new level by using time-honored recipes with a modern spin and a hand-crafted technique. 7. Beer cocktails. No longer reserved for spirits, toppers and mixers are now being used to elevate beer. 8. Nostalgia for prohibition-era elixirs. Prohibition was a spirited (if lawless) time, when moonshiners flourished in spite of the law's best efforts--and when the "cocktail" was essentially born. Prohibition-era recipes that use distinctive ingredients--some savory, some bitter, some sweet--are back in vogue. 9. Fancy glassware need not apply. Furthering the penchant for nostalgia and the eliminating of pretension, mason jars have made a comeback, both as a cocktail shaker and as a vintage-inspired drinking glass, trumping classic glasses--particularly within the burgeoning craft cocktail culture. This old-time approach speaks to a bygone American era, often promoting a warm and fuzzy sentimental state even before elixir touches lips. 10. Handcrafted manufacturing. Today, beverage purveyors are taking a more homespun approach to crafting their wares. For some leading-edge distilleries, the entire process of creating their produce-driven product is handcrafted--from the hand-zesting of every lemon to the hand-chopping of ginger to the hand-making of syrups to actual handwriting that goes on every label. This personalized care, concern, and charm is resonating in the marketplace. There is clearly a growing resurgence of consumers who want to create craft beverages from high-quality, fresh ingredients and sustainable purveyors--but don't want to be burdened with a drink that's too complex to make! Linda Losey is the founder of Bloomery Plantation Distillery, which is pioneering an array of craft cocktail trends. With a sweet spin on moonshine, the company makes its traditional homespun spirit drinkable through its award-winning, 100 percent natural premium artisan liqueurs which are hand-crafted from farm-fresh fruits, roots, and nuts. The Possibility of PopsiclesPopsicles are hot this summer, and they're no longer just for kids—boozy posicles are all the rage.